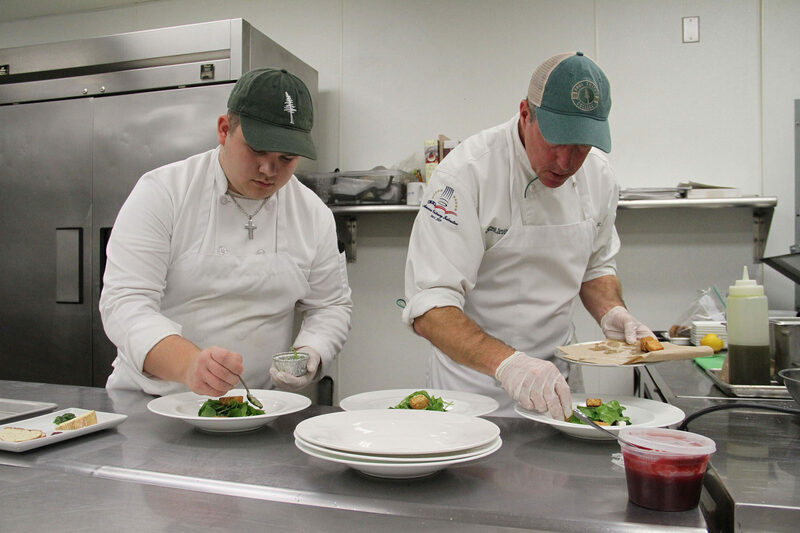 Student Jon Ward of Harrisville with chef Kevin McCarthy at the appetizer station inside Paul Smith’s teaching kitchen and restaurant, The Wally Ganzi Jr. Restaurant Training Center, known as The Ganzi. 2018. Photo by Andy Flynn. 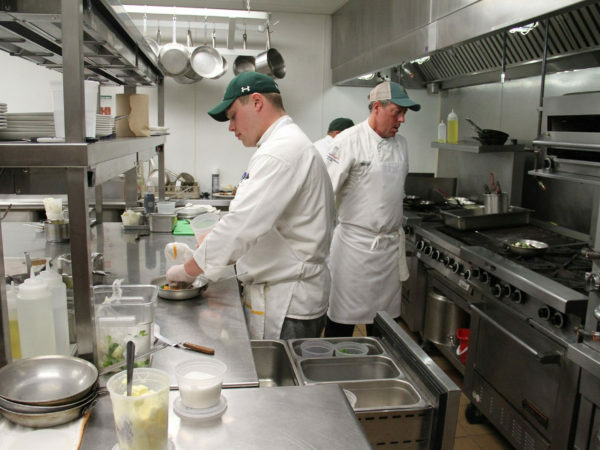 Read how Chef McCarthy teaches the next generation in the full North Country at Work story.